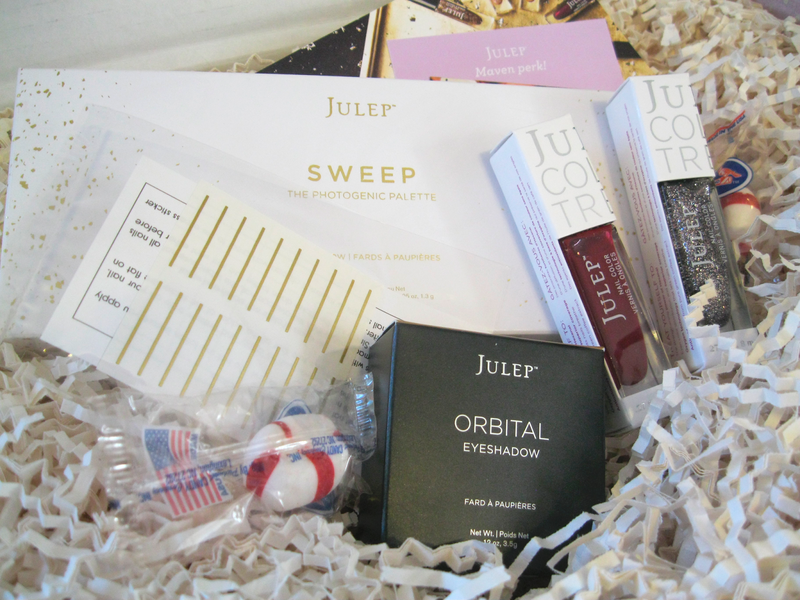 I am beyond excited about this month's Julep box! I legitimately squealed when I saw the box sitting on my desk. Basically everything they had available for this one was absolutely gorgeous and it made choosing incredibly difficult. The Countdown Collection polishes are all such beautiful colors and the eye shadows? Just stunning. When I saw the Sweep palette I was hooked. And since I couldn't bring myself to pay over $50 for a Julep box I used a bunch of my Jules to cover the cost of the box itself and just paid for the add-ons. If you want to see any of these products (except the decals) on the Julep site just click the header and it should take you there Also, this is quite a photo-heavy post so I'll try to keep it light in the text area - I'll do what I can anyway. First things first, the box this stuff came in is enormous! The photo below on the right is a normal sized Julep box the one on the left is this month's. That Maven sticker is the same size. It's the BIGGEST Julep box I've ever seen. Okay, so don't judge muh polish skills. 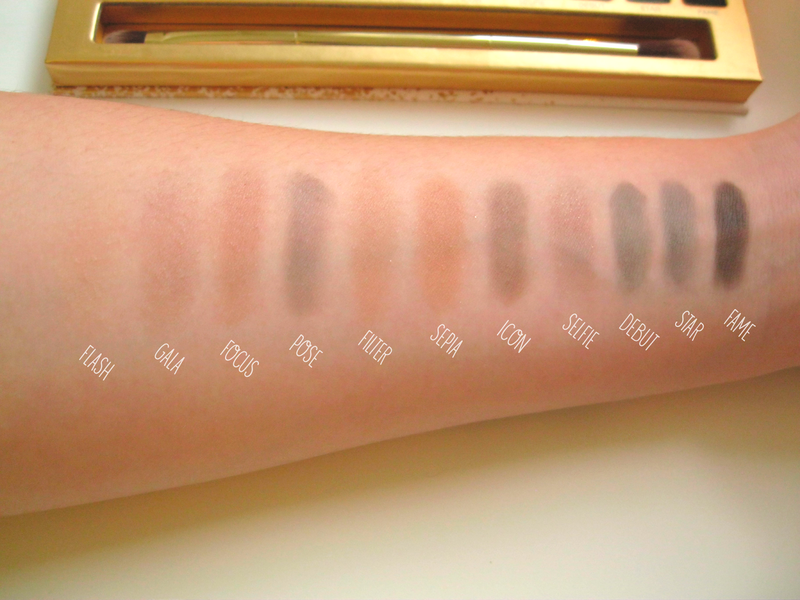 I did these really quickly so I could get swatch photos. This polish is such a great color. The photo below is Ilga painted onto bare nails with nothing over top (its got some serious shine). I took this photo in a combination of natural and artificial light, so I don't know why exactly, but in person the color looks a bit more like it does in the bottle in the photo above than it does in the photo below. It's an all around great winter color. Simple platinum glitter polish. So nice. I love it. Need I say more? Again, this is it just on my plain nails with nothing under and nothing over top. Just yes. 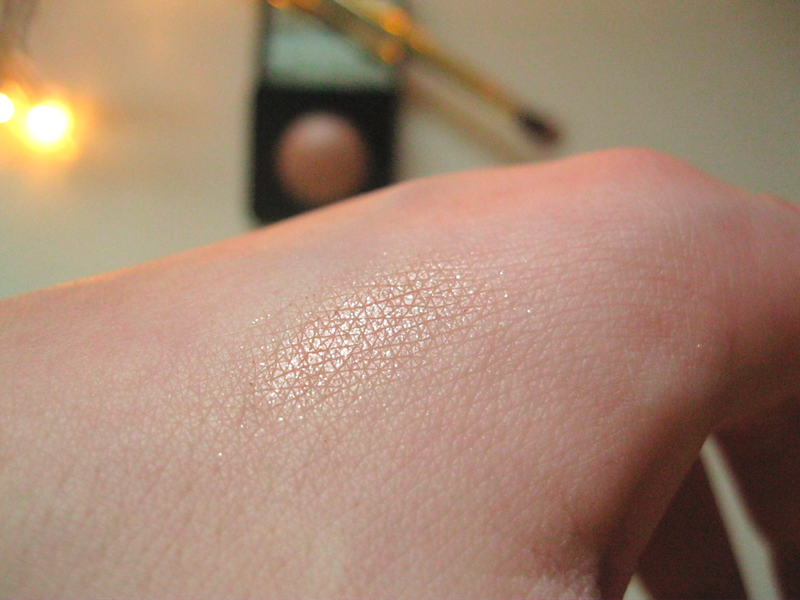 This is a champagne colored shadow with rose gold shadow pearlescence - that's basically a direct quote from the Julep site- and that's exactly what it is! It does have quite the load of glitter in it, you can't see it on the website's photos and I tried to get a good picture of but with no luck. This is just gorgeous, even with all the glitter (I'm usually not a fan but I am warming up to it some). 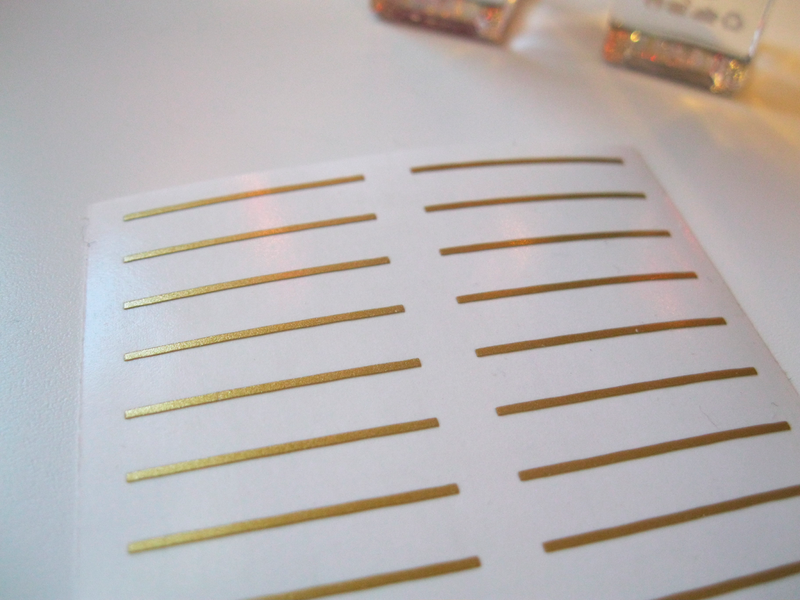 These are exactly what they look like, thin gold decal strips. I haven't used these yet but I have used other nail decals of theirs before and they work wonderfully. So these dainty little beauties should work the same. They're just perfect for the winter/ holiday season. Very excited to use them. Definitely saved the best for last. 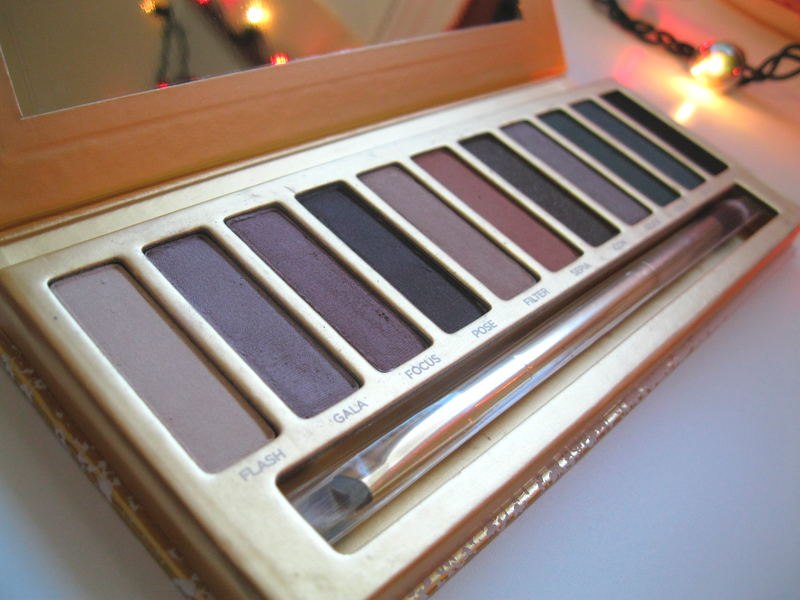 This is such a lovely palette. The packaging is flawless and the brush that it comes with seems to work very well. One side of the brush is a tapered shading brush and the other is a fluffy blending brush. 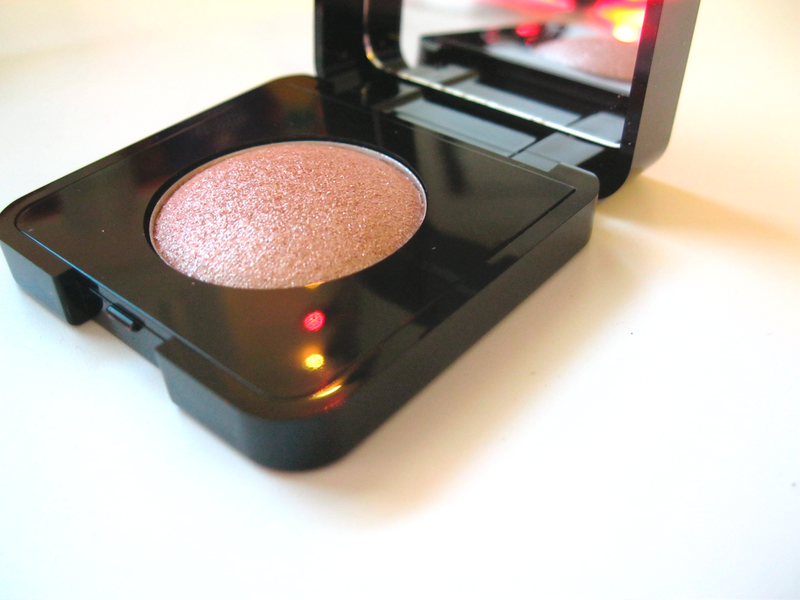 These shadows are nice and smooth and they blend almost effortlessly. I've literally used this palette every time I've worn makeup since I got it ( I can't just say everyday because my job doesn't allow me to wear makeup - if I could, I would). I'm not going to go into incredible detail here because I will likely being doing a post exclusively for this palette in the near future. By far this is the most exciting Julep box I have gotten and definitely contained some of my favorite items. 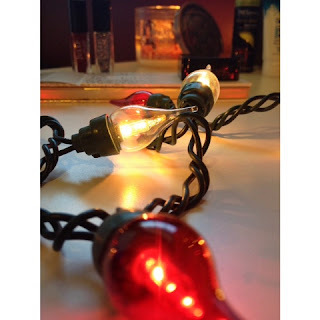 My sister also got a wonderful December Julep box, you can find that here. If you want to become a Maven click here. The first box is FREE and the Winter Wow one they're offering now looks amazing. Also, here's the sneak peak photo I posted. I just really like it, those lights are just so cute. If you want you can follow me on Instagram, twitter, and/or tumblr I'm @missameliajoy everywhere, except Pinterest where I'm MissAmeliaJoy1. & Merry Christmas and Happy Holidays! I love them and have been wearing them non-stop.